STAY TUNED TO RELEASE CHARITY ALBUM IN SUPPORT OF THE LINDA MCCARTNEY FUNDRAISING CENTRE. OUT ON NOVEMBER 30th ON earMUSIC. “Stay Tuned” is the passion project of Austrian multi-instrumentalist Bernhard Welz. Not unlike other musicians, Welz often gathers his musical friends around to play and sing along to the songs he wrote, produced and arranged. The difference between him and others is however, that his friends include some of the greatest rock’n’roll legends of our time. Among many fantastic others, these include Deep Purple’s Jon Lord, Ian Paice, Ian Gillan, Don Airey, Roger Glover and Steve Morse, Mark King of Level 42, Steve Lukather (Toto), Steve Hackett (Genesis), Suzi Quatro, Dan McCafferty (Nazareth), Jeff Scott Soto, Tony Martin (Black Sabbath), Rainbow’s Bob Daisley, Steve Lee and Marc Lynn of Gotthard. This star-studded listening experience was brought to life to celebrate and commemorate friends, respect and – above all – the love for music. Defined by an abundance of talent on all instruments, “Stay Tuned” transports the listener to a time when classic rock was everything - and features solos and riffs from some of the most revered posterchildren, who were there to tell the tale. The individual talent and experience of each of these thoroughbred artists, when accumulated, created a sophisticated interplay which is not only fun for the artists themselves but to listen to for all rock fans. It is a true celebration of rock’n’roll! “Stay Tuned” is going to be released as CD and Digital on November 30th, 2018 on earMUSIC. All proceeds go to the Linda McCartney Fundraising Centre – a charity very dear to the founder of “Stay Tuned”. LEGENDARY singer/bassist Glenn Hughes says working with guitarist Andrew Watt showed him “millennials want all the power and all the money of people who’ve already got it without working for it”. “It was a very stressful band for me to be in,” Hughes told the White Line Fever podcast (please use this link https://itunes.apple.com/gb/podcast/white-line-fever/id494213902?mt=2). “I was, you know, bamboozled into forming this band with a young man, Andrew Watt - a very talented young man - but it was the wrong move for me. Asked for this thoughts on millennials, the former Deep Purple and Black Sabbath man answered: “The way I see it is this, and this is a generalisation: millennials want all the power and all the money of people who’ve already got it without working for it. I’m sorry, that’s the way I see it. “People of my age group have worked their asses off to get this and a lot of youngsters - some youngsters don’t feel that way - they want it all and they want it now. They want what you got and they’re not willing to work their asses off for three of four decades to get it. Due to the world wide success of the Deep Purple's latest album, inFinite, earMUSIC is issuing a special, two-CD release of the project, titled inFinite (Gold Edition), on December 8. Disc 1 contains inFinite + Disc 2 features The inFinite Live Recordings, Vol. 1. As a companion piece, The inFinite Live Recordings, Vol. 1 will also be made available on the same date in a limited 3-LP 180-Gram Gatefold vinyl, as well as digitally. The inFinite Live Recordings, Vol. 1 was recorded at this years Hellfest 2017 in France and contains "Bloodsucker," which is a Deep Purple classic that is rarely a part of the band's setlist. To celebrate these releases, the band has shared two videos. Watch the "Bloodsucker" lyric video here. Watch "The Surprising" video, which premiered via Ultimate Classic Rock, here. Both releases are available for pre-order on November 3. Deep Purple are setting sail into new waters with their first-ever animated video. The official video for "The Surprising," one of the fan favorite tracks from the internationally successful album inFinite, takes the viewer on a journey through the magical 50-year history of the band. With high attention to detail, the animated masterpiece follows the five heroes of our story – Ian Gillan, Ian Paice, Roger Glover, Don Airey, and Steve Morse � through a stormy ship cruise full of allusiions and sees them riding off into the sunset. The video was directed and illustrated by Matt Rooke, alongside director Peter Rogers, who also produced the video together with Craig Hooper and Collin Games, known from the Deep Purple movie documentary From Here to inFinite. Deep Purple and earMUSIC also announce the release of the 97-minute documentary From Here to inFinite, which is due out in November 2017. It shows the history and origin of inFinite and provides a deep insight into the workings of the band for the first time on Blu-ray! The Blu-ray further includes two hours of bonus material, including music videos such as "The Surprising," three previously unreleased live videos ("Time for Bedlam," "Birds of Prey," and "Smoke on the Water"), all filmed and recorded at Hellfest 2017, as well as in-depth behind the scenes footage, movie documentary outtakes, interviews, and an audio commentary by Deep Purple themselves; all previously unreleased. In conjunction with the release of the Blu-ray, Deep Purple and earMUSIC are also releasing The infinite Live Recorings, Pt. 1 on a special 3-disc vinyl LP, produced by Bob Ezrin. This was recorded at Hellfest 2017, the biggest metal festival in France and contains a brand new previously unreleased 80min live performance. For The First Time In 40 Years…Performing A Full Concert Of Classic Deep Purple Live! Glenn Hughes, the Voice Of Rock, played his last concert with Deep Purple on March 15, 1976, at Liverpool's Empire Theatre. On that night, the UK bassist and vocalist walked away from one of history's truly game-changing rock phenomena and never looked back — until now. as he revisits some of Deep Purple's all-time greatest songs for the first time in more than 40 years, with epic stadium rock production. "Most Purple fans rank Burn and Stormbringer among the greatest albums the band ever made, in any incarnation," Glenn says. "Over that Mk III period, we were also performing Mk II classics like Smoke On The Water and Highway Star every night on massive world tours. 'My lasting memories with Deep Purple in Australia, was of course the Sunbury Music Festival in '75. After so much sunshine, came the rain – a little prophetic with us performing Stormbringer. 'I'm incredibly excited to get out there and play tracks like Burn, Mistreated, Stormbringer and Getting Tighter, as well as some of those older songs that helped define the genre. With this band, I can assure you of a concert that'll blow your mind." Glenn was inducted into the Rock'N Roll Hall of Fame last year along with his other Deep Purple bandmates. Glenn Hughes' Classic Deep Purple shows are destined to write a new page in rock history – GET READY! The hallowed name of guitar god Jeff Kollman has graced too many greatest player polls to count these last 30 years. Sebastian Bach to Alan Parsons; Chad Smith's Bombastic Meatballs to UFO spin-off Mogg/Way. A classic guitarist's guitarists, Jeff takes high praise from the likes of Steve Lukather and John Payne in his estimable stride. On stage and record, he's been a recurring foil for Glenn Hughes since the Songs In the Key of Rock LP of 2003. Australian soul monster Lachy Doley is a killer showman too, pumping and pounding the most astonishing sounds from the classic B3 Hammond and his uber-rare Hohner D6 Whammy Clavinet. Lachy's version of Bill Withers' Use Me has clocked millions of YouTube hits and his latest album, Lovelight, has torched blues charts from Australia to the UK. Sideman to Powderfinger, Steve Vai, Jimmy Barnes and Joe Bonamassa, the world-touring keys prodigy cemented his place in Glenn's band during sessions in Copenhagen for the Resonate LP. Hard-hitting funk-rock drummer Pontus Engborg barrelled out of Sweden to hit the LA session scene barely out of his teens in 2000. A fast and furious apprenticeship from the Viper Room to the Whiskey and the Knitting Factory would lead to stints with Joe Lynn Turner, Graham Bonnet, Toto's Bobby Kimball and Journey's Steve Augeri. Back in Sweden, he's been the man behind the supremely versatile Confusion since 2007. It was there that he came to the attention of Glenn Hughes in 2010, and made his debut behind the Voice of Rock in Serbia that July, sans rehearsal or soundcheck, in front of 21,000 people. Seven years later, it's fair to say he passed the audition. Keyboard Legend Don Airey Launches His Pre-Sale Campaign on PledgeMusic For 'K2 - Tales of Triumph And Tragedy' Limited Edition Box Set! London - Deep Purple and rock keyboard legend Don Airey has launched a pre-sale campaign on PledgeMusic for a very special limited edition Deluxe Box Set of his solo album 'K2 - Tales of Triumph & Tragedy,' to be released on Gonzo Multimedia in June 2017! 'K2' was recorded in 1988 at Sarm East Studios, London, and originally released worldwide on MCA Records. An article written by mountaineer Jim Curran about his harrowing experiences on the 1986 expedition to K2 that claimed the life of 12 climbers inspired it. The music was completed after Don met Jim at his house in Sheffield where he talked of his friends Al Rouse and Julie Tullis, who both died in a blizzard at the summit having become the first UK climbers to conquer the peak. It's one more month until Deep Purple's new album "inFinite", and "All I Got Is You" is what we got to shorten the wait! Click below to watch and prepare for 4 ½ minutes of the purest Purple classic sound! The single "All I Got Is You" is out this Friday. Legendary bassist GLENN HUGHES joins Mitch on episode 205 of One On One With Mitch Lafon. In the episode's only interview, former DEEP PURPLE bassist Glenn Hughes discusses his recent health issues (knee replacement and heart surgery), as well as his upcoming summer tour, Deep Purple, Black Sabbath, being elected into the Rock 'N Roll Hall of Fame, the possibility of making a new album with David Coverdale and the return of Black Country Communion. Knee operation: "I wanted to be very very recovered to play for my fans." Black Country Communion: "Joe and I (man to man) never fell out. The problem was that we wanted to continue and Joe has an amazing solo career." "Black Country Communion will be the last band I play in." Deep Purple/RARHOF: "David and I are going to go up there and accept out awards gracefully. If we get offered to join in then we probably will. It is what it is." "I'm so honored to be part of that band and accept an award with David (the only guy in Deep Purple that I have a real relationship with). We've never ever not been friends. I love him to pieces." Steve Morse, legendary guitarist for Deep Purple, Dixie Dregs, Steve Morse Band and now Flying Colors, took time out of his schedule to join Shawn and Corbs of The GuitCast podcast to talk about his Ernie Ball Music Man signature guitars, his signature Engl E656 amplifier, the new Flying Colors DVD and plans for a new Deep Purple album scheduled for 2016. Assembling various parts from different guitars, Morse told the guys about his attempts at crating his own version of a signature model until Sterling Ball, owner of Ernie Ball/Music Man asked him to design a guitar for his company. After trial and error the Steve Morse signature guitar was born. "As an arranger and a writer myself, I said guitars can do so much more, lets try to give it as much breath as possible". The result was one of the most versatile guitars on the market and it's brother the Ernie Ball Music Man SM-Y2D. their two stellar studio albums. The idea behind Flying Colors, combining virtuoso musicians with a pop singer, has served the group well as 'Second Flight: Live at the Z7' demonstrates. Morse states that writing has already begun for the new, as yet untitled, Deep Purple album. Currently in the writing stage, recording is scheduled to start about the middle of January. Capitalising on the commercial & critical success of 2013's "Now What?!" album, legendary producer Bob Ezrin (KISS, Pink Floyd, Alice Cooper) will once again sit in the producer's chair. For the full interview visit www.GuitCast.com. The GuitCast is a weekly podcast bringing you the latest news & gear reviews related to the guitar world along with interviews with the biggest names in guitar. (New York, N.Y.): Deep Purple have premiered the live clip of "Perfect Strangers" from their upcoming ...To the Rising Sun (In Tokyo) release via Billboard. Allow yourself to be transported to a Deep Purple performance by watching the clip here. earMUSIC will release a pair of "must own" Deep Purple live releases from two different kinds of nights! Check it this clip of "Space Truckin'," which jumps from the Wacken performance to the Tokyo show, effectively showcasing both concerts and atmospheres at once. From the Setting Sun (In Wacken) was filmed by 9 HD cameeras at Wacken Open Air Festival 2013. To the Rising Sun (In Tokyo) was filmed by 12 HD camerass at Nippon Budokan, Tokyo in April 2014. From the Setting Sun... (In Wacken) hhas been filmed by 9 HD cameras at Wacken Open Air Festival 2013. For the first time in Deep Purple's history, the band will release a 3D version of their performance on Blu-ray, filmed at Wacken. ...To the Rising Sun (In Tokyo) has bbeen filmed by 12 HD cameras at Nippon Budokan, Tokyo in April 2014. From the Setting Sun... (In Wacken) and ...To The Rising Sun (In Tokyo) will be made avaailable on 2CD+DVD, DVD, Blu-ray (Tokyo performance), and Blu-ray 3D (Wacken performance) on September 18 on earMUSIC. In episode 136 of One On One With Mitch Lafon, Mitch is joined by legendary DEEP PURPLE bassist, Roger Glover. On making a new album: "It keeps and grows your audience. We can play the old classics with pride, but we are songwriters and you don't stop doing what you do." Ritchie Blackmore: "He's probably the most important musician I have ever worked with." On working with Judas Priest: "They were the next wave after Sabbath, Purple, Zeppelin era, but they weren't very happy. I said, 'what's going on?' They said, 'we want to produce ourselves.' So, I left the project." The Rock N' Roll Hall Of Fame: "If you had asked me 40 years ago if I wanted to be in the Rock N' Roll Hall Of Fame I'd have gone, 'Oh Gosh what a dream'..."
This episode is co-hosted by ALICE COOPER guitarist, TOMMY HENRIKSEN. Tommy talks Roger Glover, offer details into the upcoming Mick Mars of Mötley Crüe solo album, The Hollywood Vampires album with Alice Cooper and more. WRITTEN BY ROGER GLOVER: One band, two crowds, two countries - a tale of two cities indeeed. From Germany's Wacken Open Air Festival, one of the biggest metal festivals in the world and a city unto itself, to Japan and the stately Nippon Budokan, the most revered venue in Tokyo. Each has its own distinct personality. Wacken is a success story beyond par, starting out humbly by two friends in a field in rural Germany and becoming one of the best organized and attended metal festivals... ever. We were most impressed by the facilities, security, backstage, camping - in fact the wwhole production was superb. By way of contrast, the Budokan is a temple of peace (except for the infamous occasion when all the seating was destroyed). Made in Japan was partially recorded there and we've played there many times since. For such a large space, the acoustics are excellent; this special building never ceases to impress. On this particular evening, we came in at the back door, climbed the cool, marble staircase and entered the familiar dressing room. Feeling like we're the only people in the building, it's hard to believe there's even an audience out there. But there is, young and old, sitting patiently or chatting quietly—the embodiment of civility. It's almost like the respectful hush one might find in a cathedral. But they're here to rock. And rock they do. They may be quiet while they’re waiting, but they are far from shy during the show. They gave us an unforgettable evening. Thank you, Tokyo. In episode 105 of One On One With Mitch Lafon, Mitch is joined by the Voice of Rock and Whitesnake frontman David Coverdale as well as Art Alexakis Of Everclear. In my exclusive 47 minute interview with David Coverdale, he talks about the different guitarists he's worked with over the years including Jimmy Page, Doug Aldrich, Joel Hoekstra, Ritchie Blackmore, Glenn Hughes and more. His plans for a Deep Purple reunion. The planning, making and execution of their brilliant new The Purple album. Doing the rounds with Madonna. The Rock 'N Roll Hall Of Fame. Remembering Jon Lord. What is next for him and Whitesnake and much much more. 1. On the Future of Whitesnake: "This might be my fond farewell to the big arena rock stuff." 2. On his time with DEEP PURPLE: "I did the best I could for the three years I was involved." 3. On a Deep Purple Reunion: "It would be a lot of fun and I certainly would be down for that." 4. On the 1987 Whitesnake album: "I thought it was a bomb. And not a bomb in a positive sense. I thought my career was over." 5. On his various guitarists: "I didn't want to go into guitar-hero land." And "Whitesnake is a great guitar gig." 6. Comparing Doug Aldrich to Adrian Vandenberg: "Adrian is a much better chef." 7. Is he interested in doing new music? "I have a feeling that my career has come full circle. I'm not competing with the young David Coverdale, but I do have a feeling that I don't want to challenge myself anymore. It really is exhausting." In the episode's second interview, Mitch is joined by Art Alexakis who discusses EVERCLEAR's new album Black Is The New Black and much more. 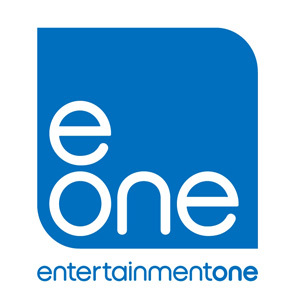 (New York, N.Y.): earMUSIC has signed an exclusive deal with Entertainment One Distribution for distribution in the U.S., it was announced today. The deal is the first of many planned elements that will further nurture the earMusic label, brand and artists in the United States in 2015 and beyond. Max Vaccaro, General Manager of earMUSIC comments, "During the first five years of earMUSIC, we have seen our label becoming a constant presence on the charts all over Europe. After some excellent years with our close friends at Eagle, we now feel its time to 'walk on our own two feet' and start developing our own presence in the United States. We approach this step in the most important market in the world knowing how challenging it will be to be as successful as we are in Europe. In a market where some of the best companies operate, we feel strong with having met a partner like eOne to share this ambition with." Michael Healy, Executive Vice President of eOne Music, states, "We feel very fortunate to be able to add EarMUSIC to our strong list of labels and artists. It will be exciting to be a part of their continued success as they take these next steps to expand their footprint in the U.S. marketplace." Scott Givens, VP Metal of eOne Music, adds, "I am thrilled to have earMUSIC join eOne Distribution and look forward to working with Max and his staff. This is another example of eOne's ongoing commitment to the rock and metal genres." Deep Purple, Long Beach 1971: The release is the latest in earMUSIC's Deep Purple live series of the past two years, boasting rare material. Recorded at the Long Beach Arena on July 30, 1971 and broadcast on KUSC, 91.5 FM, this is a "must own" for fans of Deep Purple, spanning over 70 minutes of music that was remastered in 2014. earMUSIC has reached Gold Status with Deep Purple latest release "NOW What?!" in Germany where it charted at No. 1, and achieved over 10 top 10 positions worldwide, four of which were No. 1. Thunder, Wonder Days: One of the most enduring British bands of the past two decades, Thunder roar again with their 10th studio album - their first in six years. Their sound is a tiimeless marriage of unforgettable melodies and sheer rock power and they have rightfully ascended into the rock pantheon. The album entered the UK Top 10, a first for the band in over 20 years. New York, NY (July 29, 2014)—On September 30, 2014, earMusic and Eagle Rock Entertainment will proudly release Jon Lord, Deep Purple & Friends – Celebrating Jon Lord on CD, 2CD, and via digital formats in North America. started as an idea from Jacky Paice, who very often could count on the drumming of her husband Ian. Who would turn down playing with him? The first editions were mainly open to guests and music business professionals that would contribute to the charity. Later "The Jam" became too good not to be available to the public. Sunflower Jams that Jon Lord played for the last time with his friends in Deep Purple, duetting on a peaceful "war of hammonds" with Don Airey, who had replaced Lord in Deep Purple when he decided he had enough of a life spent on the road, and after a lifetime dedicated to rock and roll, Lord left to concentrate on his first love: classical music and the combination of rock elements in it. 2014: "The Sunflower Jam" is a now a regular sold out event, with this fourth one taking place at the Royal Albert Hall. All the wonderful musicians who played at the "Celebrating Jon Lord" Sunflower Jam have left an indelible mark. The set culminatied in a 45-minute finale by Deep Purple (the Purple Mk III songs played by Paice with old friend Glenn Hughes), who are eventually joined by Iron Maiden's Bruce Dickinson, Rick Wakeman of Yes fame, Steve Balsamo (who sang in the Jon Lord band and on his last studio album Concerto), members of The Temperance Movement, ex-members of Whitesnake Bernie Marsden and Micky Moody, and the "modfather" Paul Weller. New York, NY (July 14, 2014)—On April 3, 1975 the Mk III line-up of Deep Purple – guitarist Ritchie Blackmore, frontman David Coverdale, bassist/vocalist Glenn Hughes, keyboard player Jon Lord and drummer Ian Paice – performed at the Liebenauer ice rink, located on the outskirts of mountain-cradled Graz, Austria’s second largest city after Vienna. Enthused by Deep Purple’s arrival in town, the local press dubbed the concert “das Rockereignis des Jahres [the rock event of the year]”. And it was – in more ways than one. Previously unreleased in its entirety, Graz 1975 – will be released in North America on September 23th, 2014 on earMUSIC / Eagle Rock Entertainment. After Graz, Deep Purple would play just two more shows – in Saarbrücken, Germany and Paris, France – before Blackmore left to form his new band, Rainbow. The remaining band members would regroup quickly with American guitarist Tommy Bolin in tow. In order to preserve Blackmore’s final run of Mk III concerts for posterity, Deep Purple’s managers had brought the Rolling Stones mobile recording studio over to mainland Europe. And what a show it was! Graz 1975 is absolutely electrifying and exhilarating. Indeed, it has long been regarded as the holy grail of concert recordings among Mk III connoisseurs. A performance that has never been available in its entirety until now. Kicking off with a blazing performance of “Burn,” Graz 1975 is a wild eight-track ride, firing on all pistons. Blackmore plays with controlled brutality. The vocal interplay between Coverdale and Hughes has never sounded so good. And, of course, stalwarts Lord and Paice give it a good kicking – and then some. The track listing, naturally, is weighted heavily in favor of Mk III recordings, with just two songs from Deep Purple’s previous incarnation with Ian Gillan on vocals and Roger Glover on bass: the iconic “Smoke On The Water” and the almost-as-iconic “Space Truckin’.” Still, it’s true to say that, from beginning to end, Graz 1975 showcases Deep Purple Mk III at the absolute top – and also, ironically, at the end – of their game. After almost 40 years the concert is still captivating. It is the perfect example that, for Deep Purple, there is no need for extravagant video projections or expensive fire shows to play a unique and fascinating gig. All they need is their music. It is the love and passion for their music that makes every single show a unique experience.